Prospects disintegrated rather quickly for Kareem Hunt, the Kansas City Chiefs’ former star sophomore running back. A season removed from leading the NFL in rushing yards as a rookie, Hunt found himself without a team on Friday evening, after TMZ released a video of him shoving and kicking a woman during an altercation in February at a Cleveland hotel. This incident is further evidence of a pervasive problem within the NFL and professional sports in general, where talented athletes are given a significant amount of leeway in their personal actions. The NFL and the Chiefs were aware of this incident shortly after it occurred. 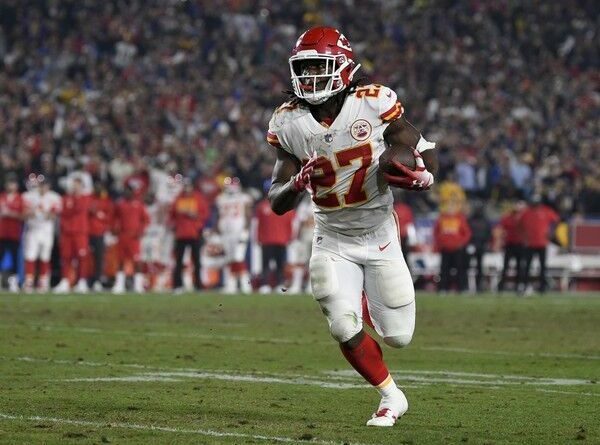 According to a statement from the Chiefs after Hunt’s release, they spoke to Hunt internally after becoming aware of the incident, and the NFL and law enforcement also began their own investigations immediately after the incident. The NFL never actually spoke to Hunt in the course of their investigation. In addition, the NFL claims that they attempted to obtain video of the incident and that their request was denied. Yet, according to an Associated Press report, neither the NFL nor the Chiefs requested any public records from the City of Cleveland prior to the video coming to light on November 30. Indeed, 11 other individuals made public records requests with regards to the incident prior to November 30, and all but one of them appear to have been granted. This seems to point to a willful ignorance on the part of the NFL and the Chiefs, as it is rather difficult to believe that a multibillion dollar organization was unable to obtain the video while TMZ was. In many ways the Hunt situation harks back to former Baltimore Raven Ray Rice’s incident in 2014. Rice was charged with assaulting his then fiancee — whom he later married — after a domestic violence occurrence at an Atlantic City hotel. Rice was initially suspended for two games by the NFL and was later cut by the Ravens. A video was released a few months after the fact, once again by TMZ, showing Rice punching his fiancee in the face and knocking her unconscious. The NFL suspended him indefinitely, a penalty he successfully appealed, but he has not played football since. Once again, an external news organization was able to obtain a video that the NFL claimed they weren’t able to get. Perhaps the NFL could have learned from their mistakes. Instead, Hunt played 11 games this season without even a shadow of the threat of a suspension. He is now on the Commissioner’s Exempt List, meaning that he cannot practice or play for a team while the NFL conducts what will surely be a more thorough investigation into Hunt’s conduct. As part of this investigation, the NFL will also be considering two more incidents involving Hunt, including one in June where he allegedly punched a man. What is perhaps even more troubling about this situation is that Hunt will almost surely end up on another team after the NFL concludes its investigation. He is one of the most exciting talents in the NFL, winning the National League Rookie of the Year award last season, and would make any team instantly better. Reuben Foster, one of the most talented young defenders in the NFL, was arrested on domestic violences charges last week for the second time in the past year. He was immediately cut by the 49ers, but was claimed by the Washington Redskins within days. He’s so talented that the Redskins were willing to risk any public relations harm or chance of Foster being suspended, and he won’t even be able to play for them until the NFL finishes their investigation. Likely, Hunt will be given another chance by a team that will likely be able to sign him for fairly cheap. The personal conduct of many NFL players remains abysmal, especially amongst some of the most promising young players. Ezekiel Elliott, the Dallas Cowboys’ star running back, was handed a six-game suspension last season when the NFL determined that he had violated its personal conduct policy after allegations of domestic violence against his ex-girlfriend. Tyreek Hill, another Chiefs player, has been the source of controversy regarding domestic violence. The two-time Pro Bowler pleaded guilty to various domestic violence charges after being accused of a vicious assault on his pregnant girlfriend during his college career. Although it was expected that he would not be drafted, the Chiefs eventually selected him in the fifth round of the 2016 draft. Professional athletes are some of the most important role models in modern society. Kids grow up dreaming of one day making it to the pros and playing like Kareem Hunt or Tyreek Hill. The eyes of the world are on these players, and many of them have repeatedly violated societal standards of conduct. There are conflicting reports regarding what precipitated Hunt’s incident in February. The victim claims that Hunt kicked her out his room and then assaulted her after she refused to engage in sexual contact with one of his friends. Some of Hunt’s friends claim that she called Hunt the n-word after being asked to leave his room. At the end of the day, it doesn’t matter what the circumstances were leading up to this incident. There is absolutely no situation where his actions would be considered acceptable. The eyes of the world were previously on Hunt as he dominated on the gridiron. Now they’re on the NFL to see if they’ll do the right thing and punish him appropriately.